When you are importing a survey that is using a different CRS from the CRS you have defined for a project, Insight is able to convert it to the project CRS. 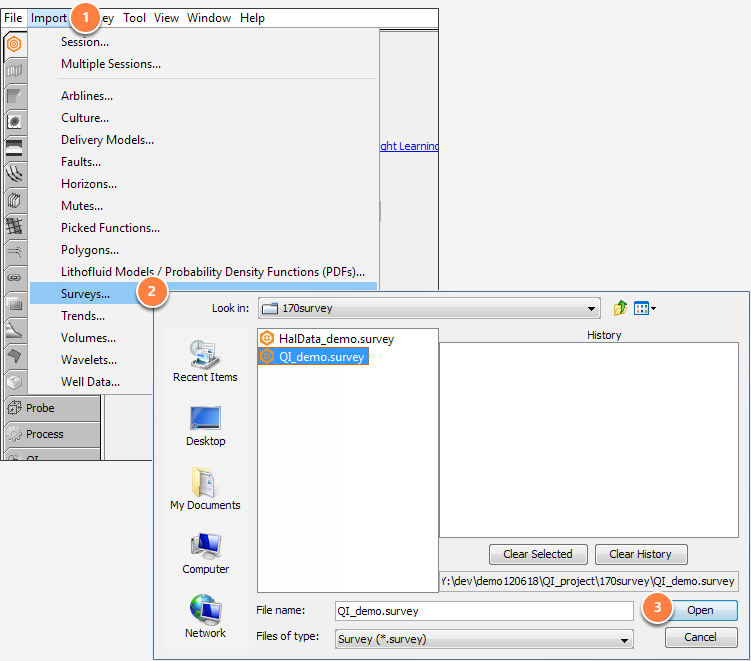 Click Surveys and the Import Survey File window will be displayed. Select the survey file(s) you want to import and click Open. At Type of coordinates, select Eastings / Northings if the survey is using the eastings/northings coordinates or Latitude / Longitude if it is using the latitude/longitude coordinates. Click Convert from to select the CRS of the survey from the standard CRS table and click OK. This is the original survey CRS which will be converted to the project CRS. The CRS of the project is defined when you create a project (see Creating a Project). Note: If you are importing multiple surveys at the same time, the CRS will be applied to all the surveys.